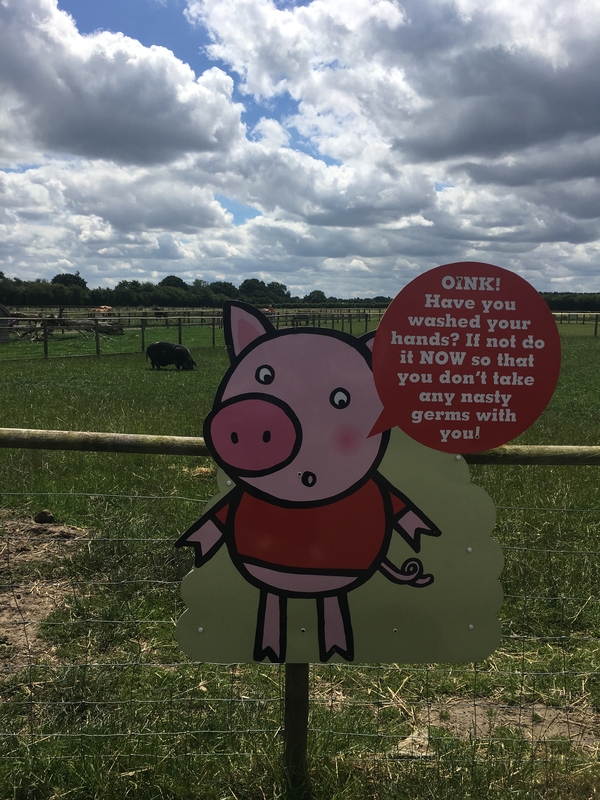 We have visited Piglets Adventure Farm quite a few times since we moved to York in 2010 and the children were very small. 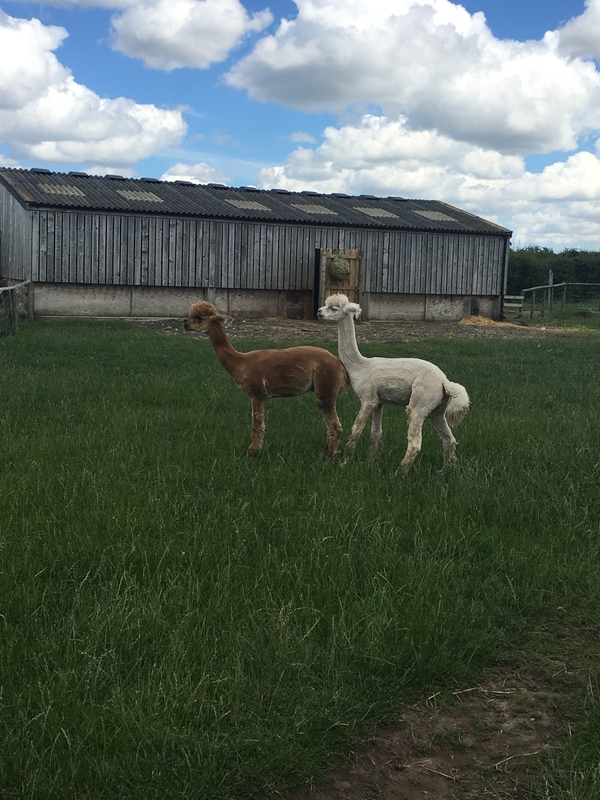 It has changed, grown and evolved much since our first visit. 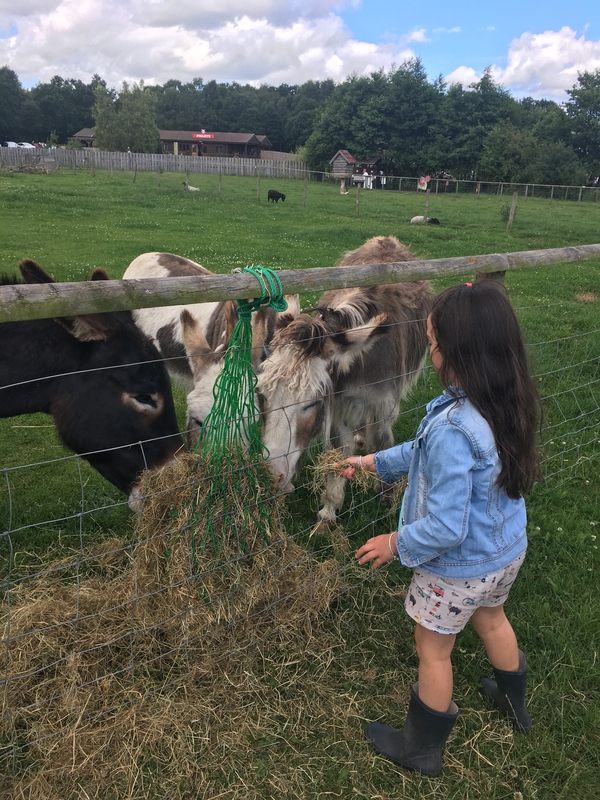 We have enjoyed so many fun filled family days here I was very keen to review them for Family Travel with Ellie, and so was thrilled when we were invited along. Open daily from 10am to 5:30pm. 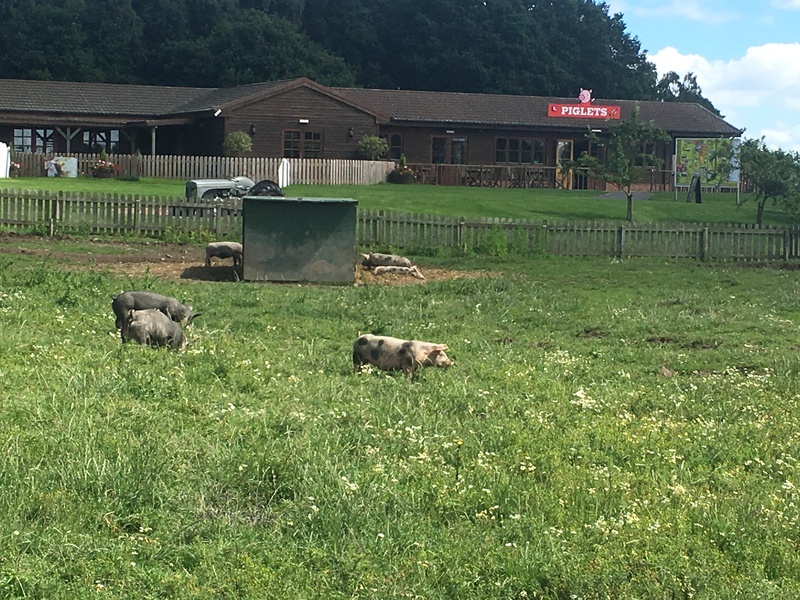 Piglets Coffee House is also open 10am to 5.30pm and is free to enter. These are the online prices, you can’t book online for a same day visit. Prices may be different when a special event is on , so it is always worth checking the website before you visit. 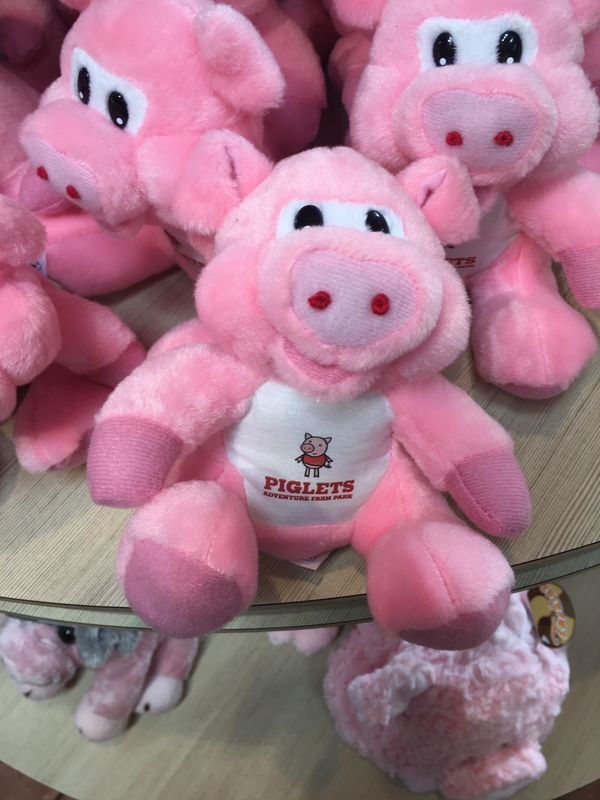 What is there at Piglets? 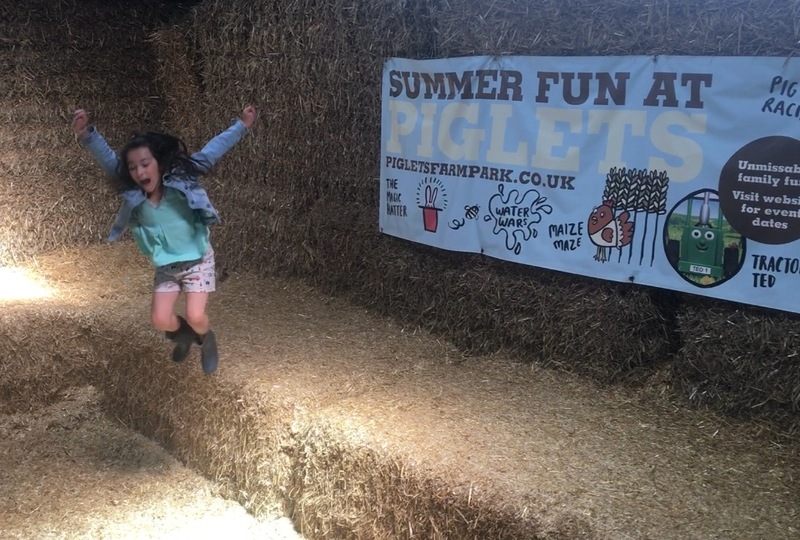 Piglets is a every child’s outdoor dream. 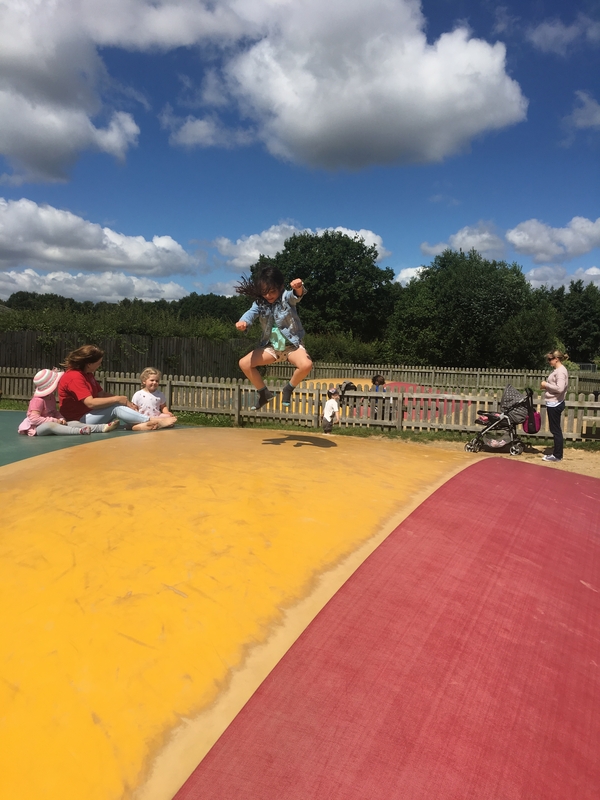 There is plenty for all age groups to enjoy, and it is very parent friendly too. 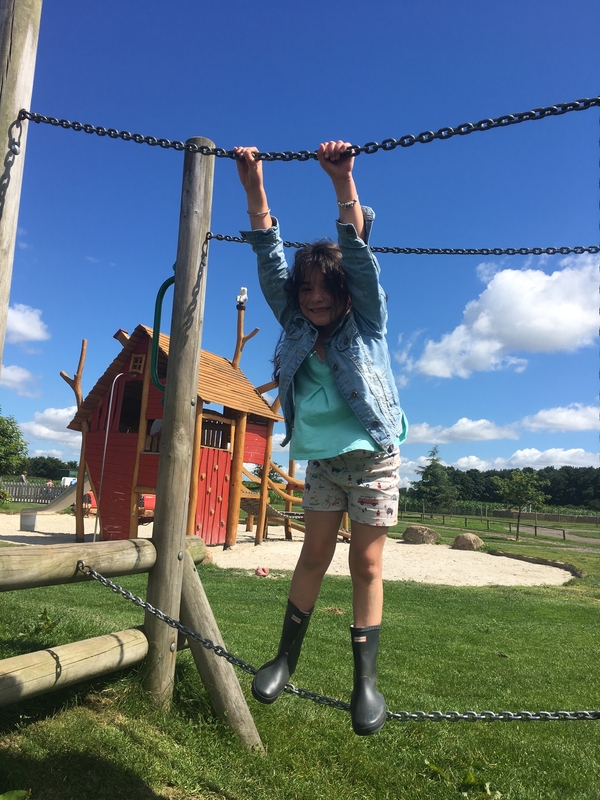 As you walk though the reception doors you are greeted by a fabulous colourful scene of vast green grassy areas, huge sand pits, play equipment, enormous bouncy pillows, go – karts… and the list goes on. To our left was a tractor towing a trailer full of singing kids away up a woodland track. To our right was the immaculately kept petting farm where children were stroking piglets and feeding donkeys. Watch your child’s reaction – it will be one of pure delight as they try to make the very tough decision – ” what do I play with first ?!”. 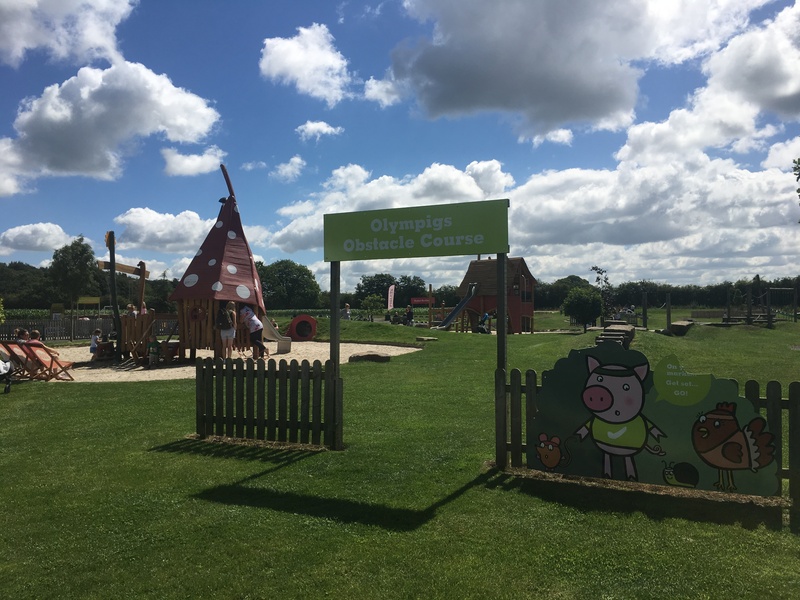 There are plenty of picnic tables and areas to sit and relax whilst being able to keep a watchful eye over the little ones as they race around from one activity to the next. There is a snack bar, which I can tell you on good authority sells excellent coffee. You can also get sandwiches/crisps/ cold drinks etc here. The toilets are large portacabins, which are cleaned regularly through the day and kept in very good order. There is a baby change table. There are some excellent toddler friendly play areas. 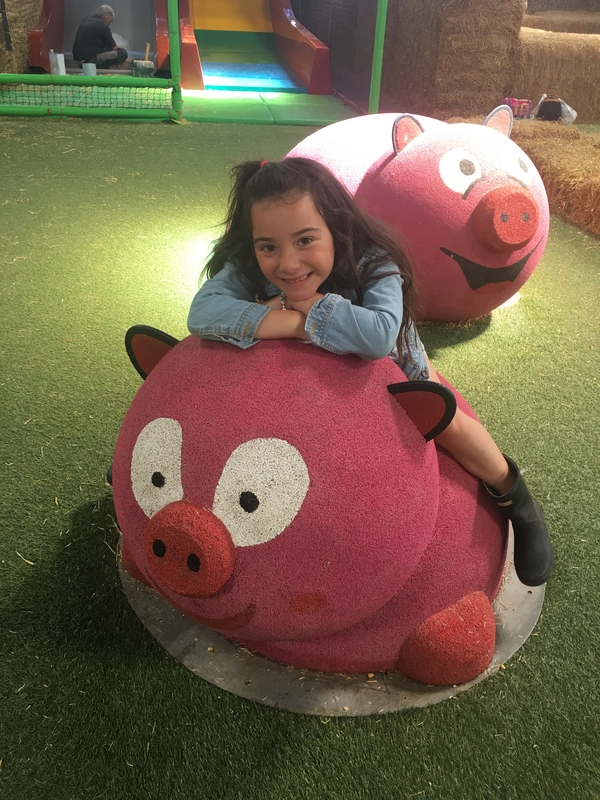 Having enjoyed a fabulous bounce on the giant bouncy pillow and challenged herself on the climbing equipment Princess D decided she would like a tractor ride. Just as we got to the Tractor Stop, it was pulling up. 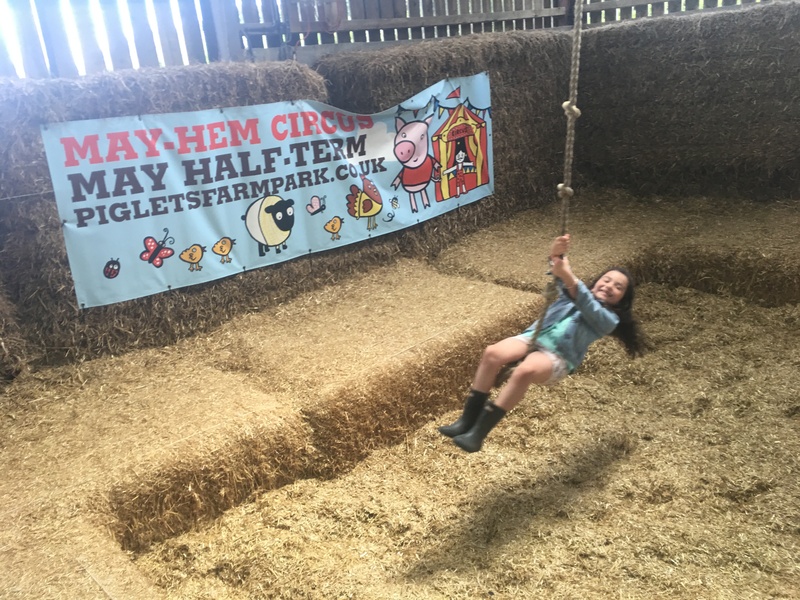 I was expecting a trip around the woods, looking out for woodland creatures, but actually the tractor took a different route and we ended up disembarking at a new play barn that we hadn’t explored before. The new play barn is fab. 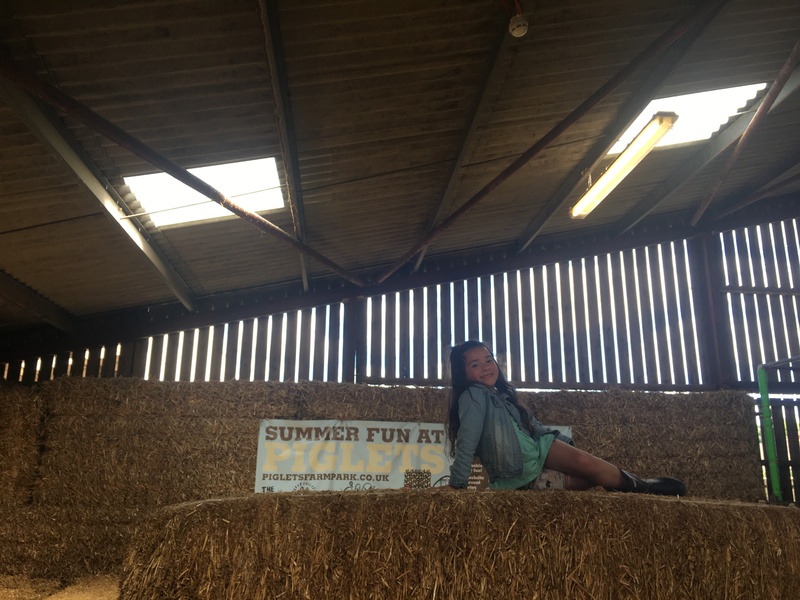 I have very happy memories from when I was a child of climbing and making dens in the bales in the barn at our stables and It made me feel quite nostalgic as we walked in and I saw at the back a large stack of straw bales with tunnels and rope swings. 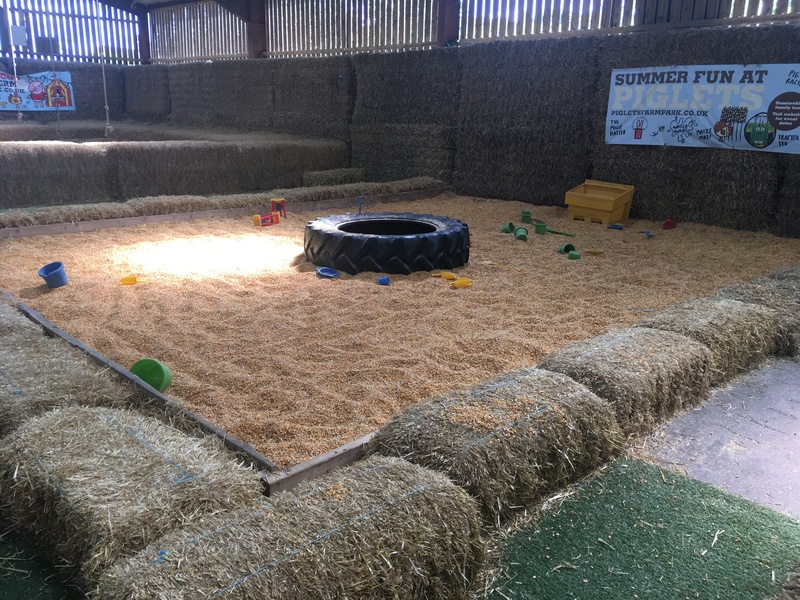 There is also a fantastic big play pit, but what makes this different to your usual sand pit is that instead of sand, they have used corn. Genius! No mess, no sand in the eyes but hours of fun all the same! There is also a mini ride on area, with tractors and trailers. 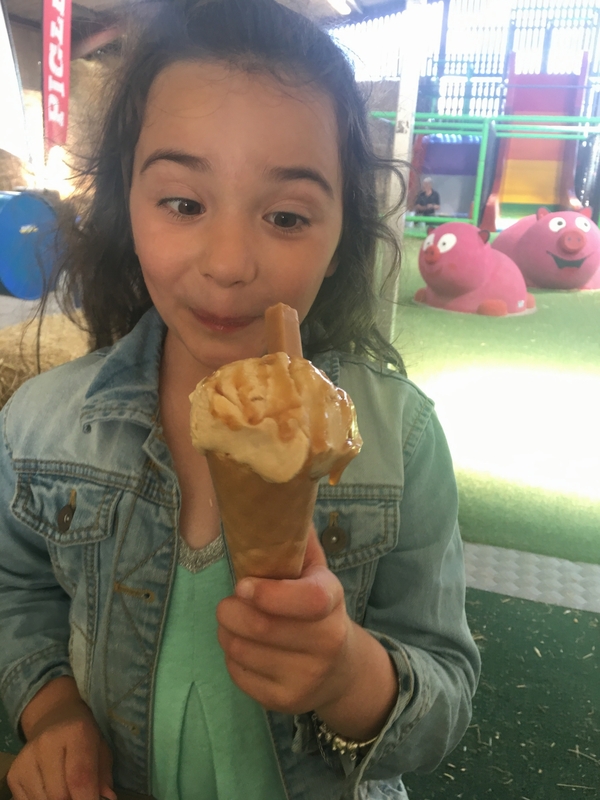 In the centre of the play barn are two slides, and there is plenty of seating, plus a cafe selling drinks, ice creams, snacks and pizza. The tractor comes back around regularly for you to hitch a ride back to the main part of the park as and when you are ready. 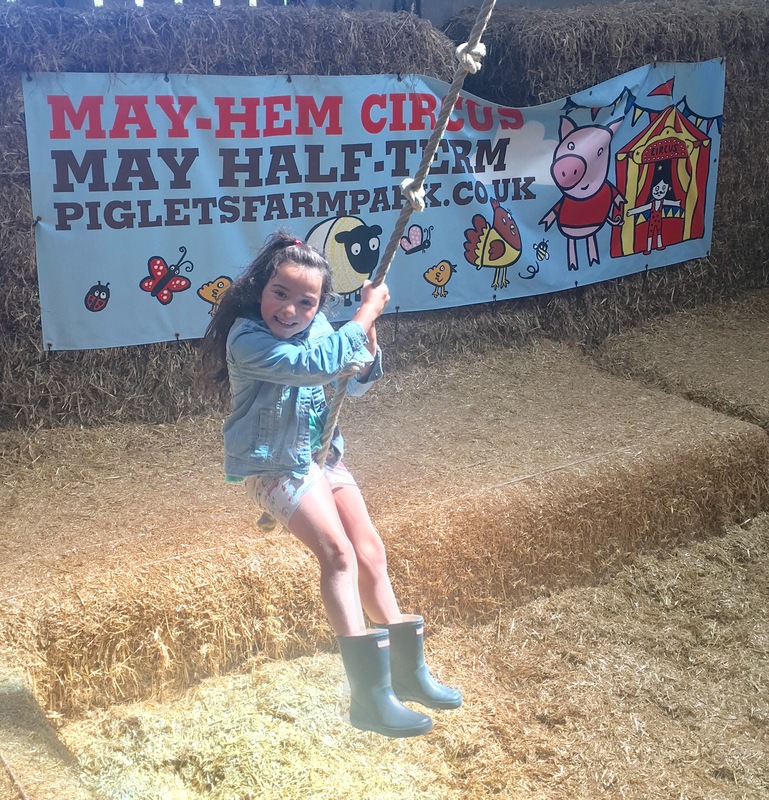 Princess D would happily have spent all day playing on the bales and rope swings I think! 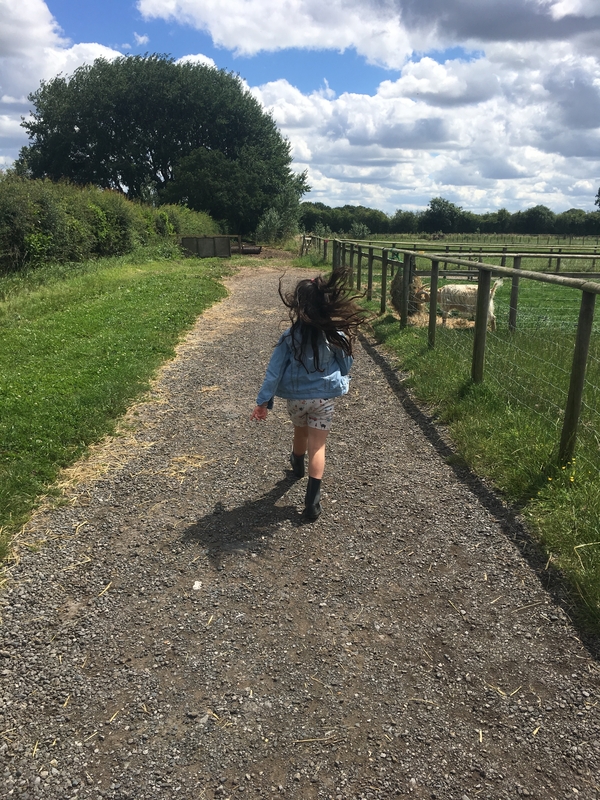 Having managed to convince her to leave the rope swings, we took a tractor ride back to the farm and set off to visit the animals. 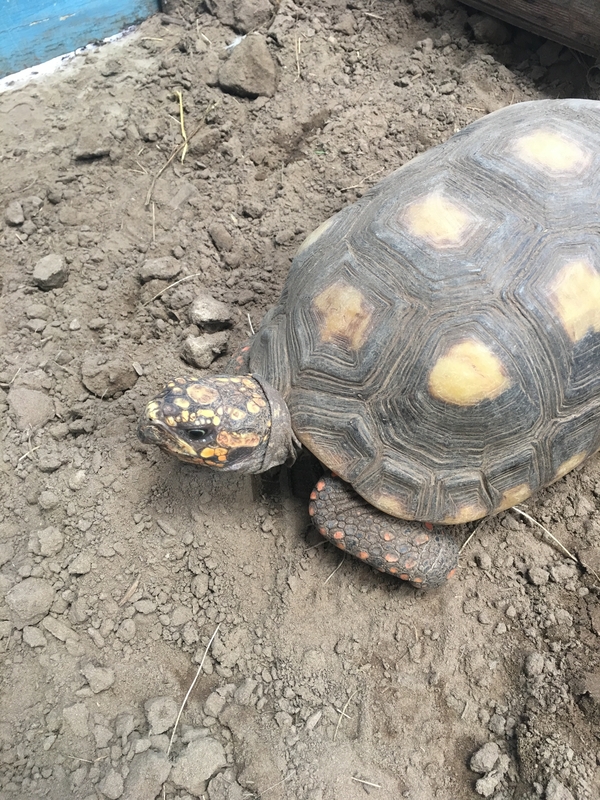 All the animals are beautifully kept and very sociable and friendly. 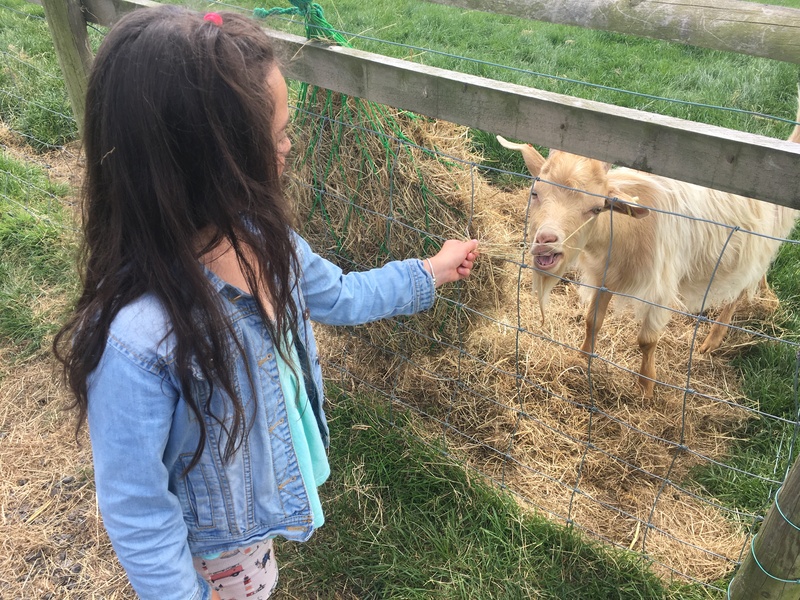 There are opportunities for the children to stroke, feed and learn about caring for the animals. 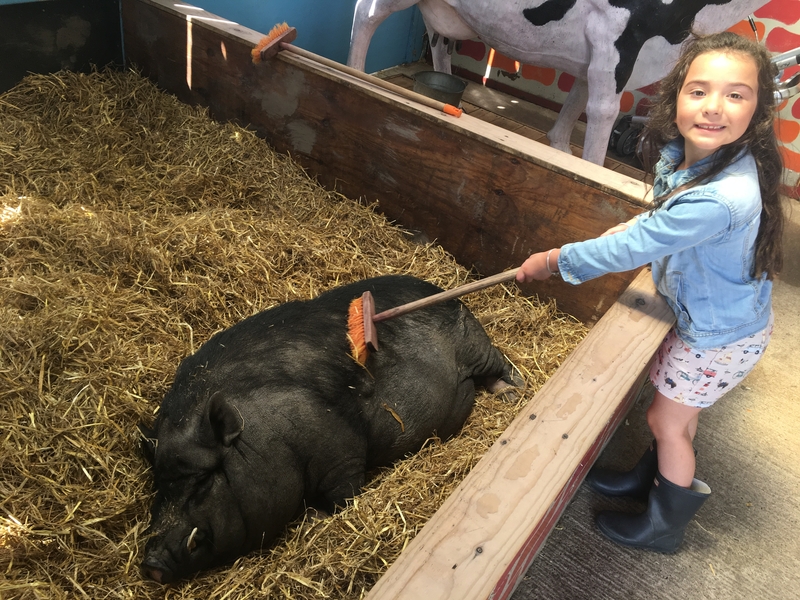 There’s a gorgeous large lady pig/ sow who loves nothing more than the children using brooms to scratch her back! On our way out we visited the nicely organised and well equipped gift shop. 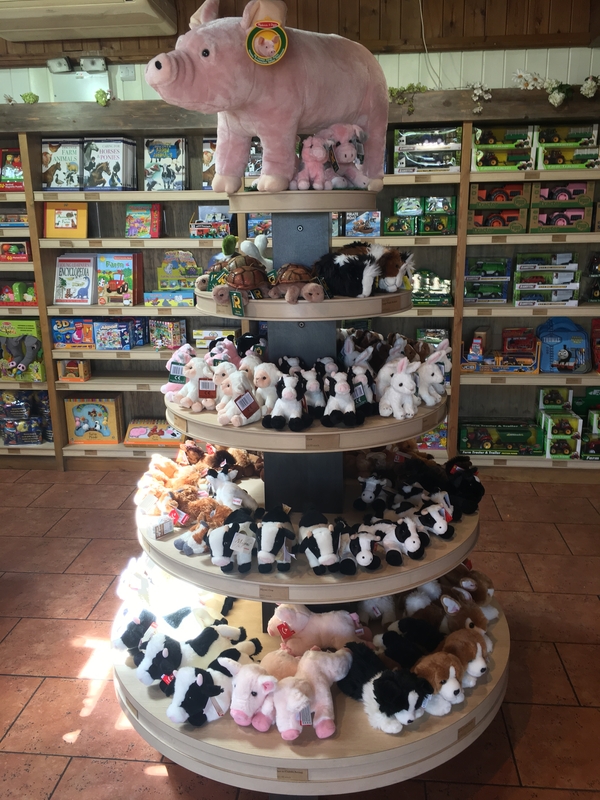 Lots of choice for little ones to spend their pocket money on! Ideal at strawberry picking time too! There is also a lovely little cafe serving hot and cold snacks/ drinks and a lovely selection of treats too. 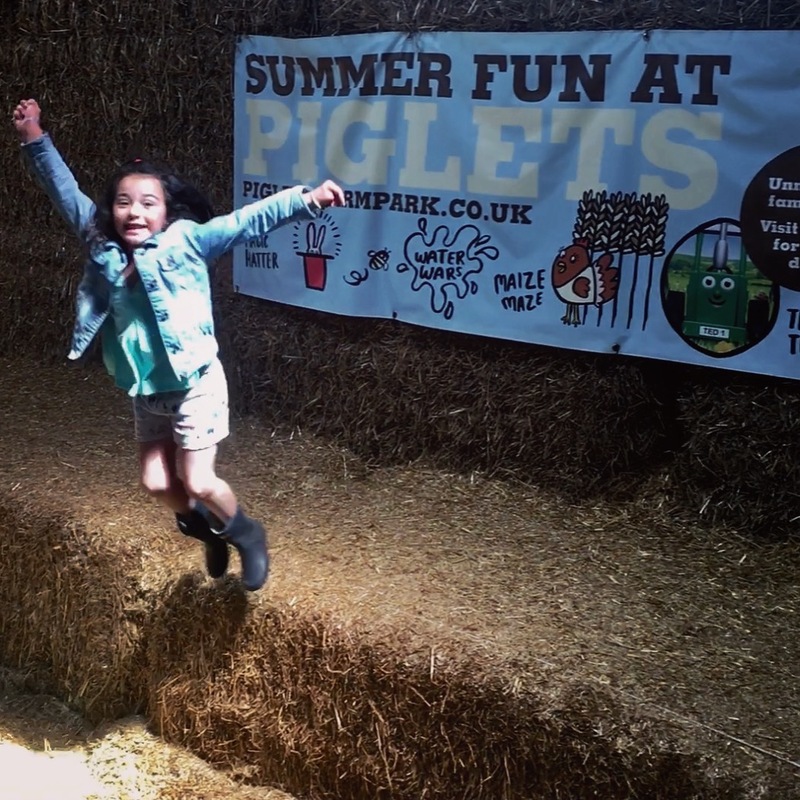 Why should you visit Piglets Adventure Farm? A trip to Piglets is an absolute must. 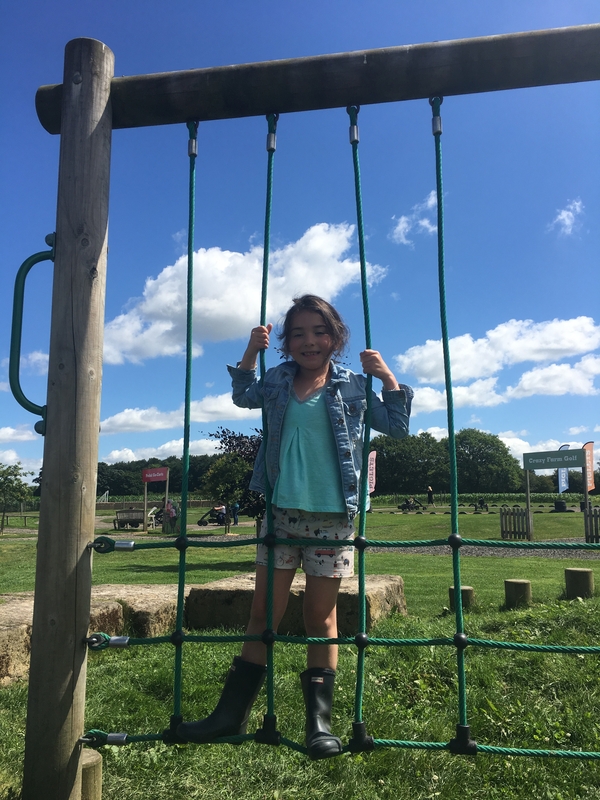 Family days out, outings with the grandparents, school trips and more. The ideal day out, with plenty to see and do, in a safe and enclosed environment. The staff are warm and enthusiastic. Its worth keeping an eye on the website for special events. 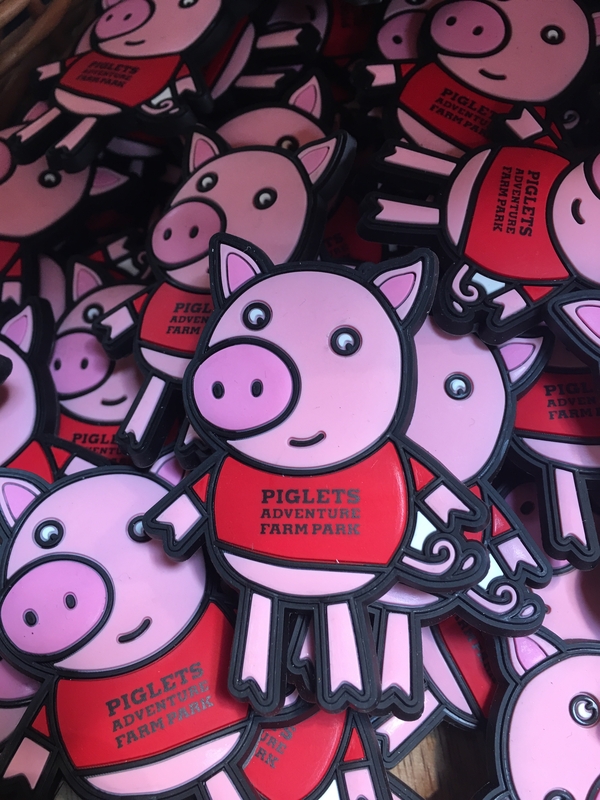 The Piglets Christmas event is particularly wonderful but tickets sell out very quickly so don’t snooze or you will lose! 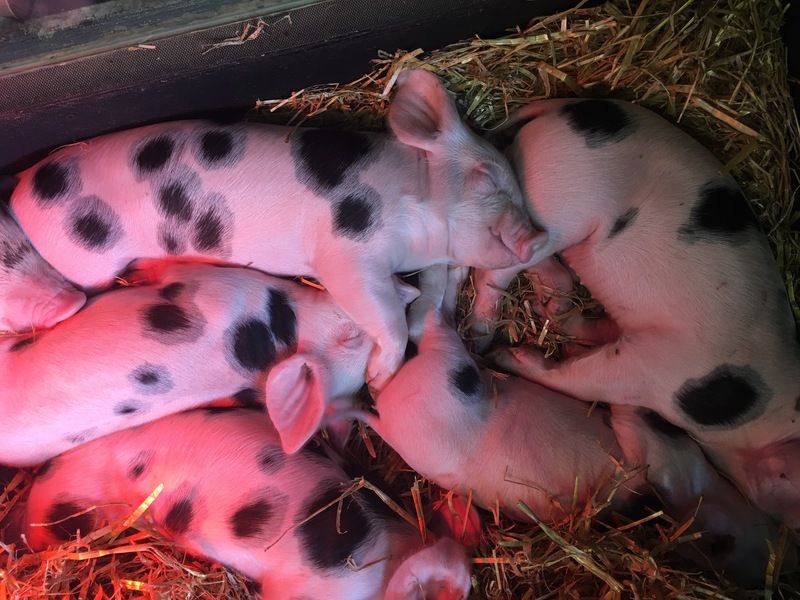 Our warmest thanks to Piglets for inviting us to review. Many thanks also to Les Femmes Ensemble for their help with research. nice information about family spending time location. My children would love this place! I never even knew it about! Thanks so much for sharing! Judging by the looks , I’ll definitely consider taking my siblings there. 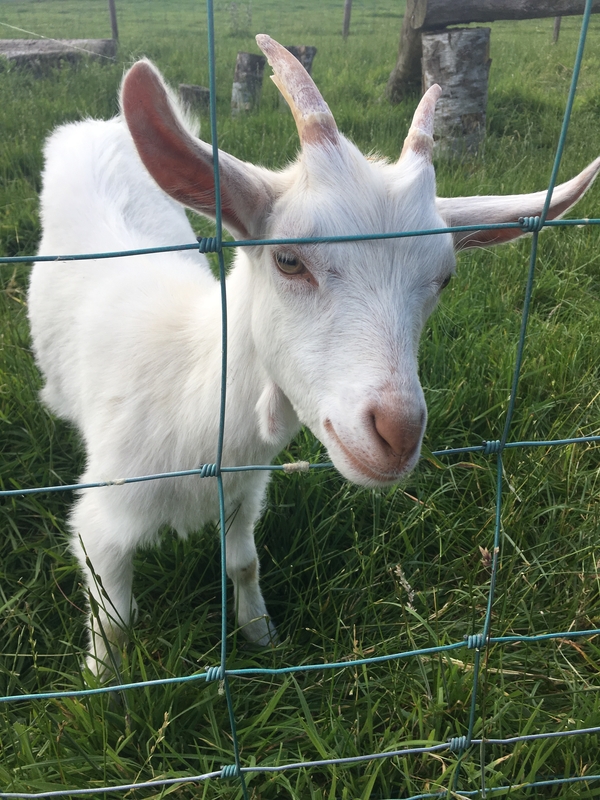 the baby girl is cute and also the admission price is low. Oh man. The day I have kids – I am going to have to take them to places like this! This post looks really cool.